Mom of twins, sewer, knitter, theatre adict, world traveler, bookworm, skier, and player of board games. I have one finished project to write about (almost two! ), but I haven’t had any time to take proper pictures. So, you’ll have to be left in suspense as to how my crazy jeans turned out for just a little bit longer. I will say, though, that I have worn them and I got a lot of compliments! So, I’ll say they are a success. In the mean time, I’ve done a fair amount of knitting. With the Olympics coverage on non-stop in my house, it’s hard to tear myself away and head to the sewing room. Knitting on the couch has been much easier. I’m done with the body of my Miette cardigan, and only have to tackle the sleeves and button bands next. Very exciting. 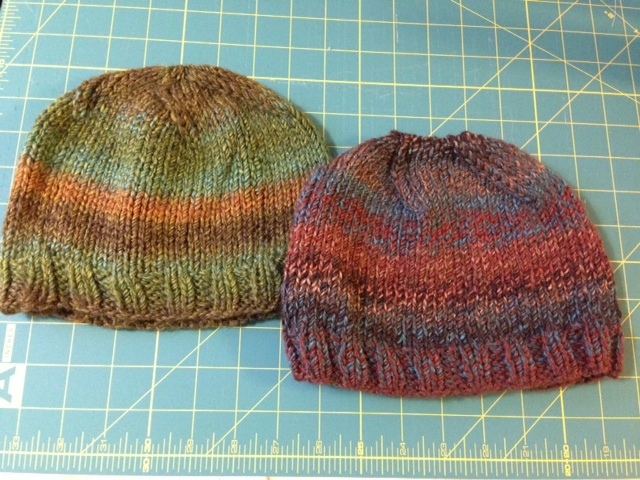 I’ve also made two hats for the nephews! (We won’t talk about how overdue these gifts are…) I used Lion Brand Tweed Stripes in Ozarka Forest (left) and Woodlands (right). I made up the pattern as I went and they turned out quite well. 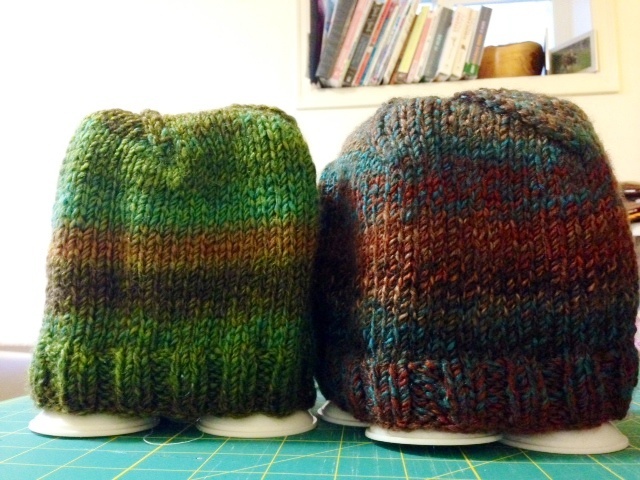 The husband has now requested one made up in his size, though he can’t decide which color he likes best. My notes about making these hats are on Ravelry here. Whoops. 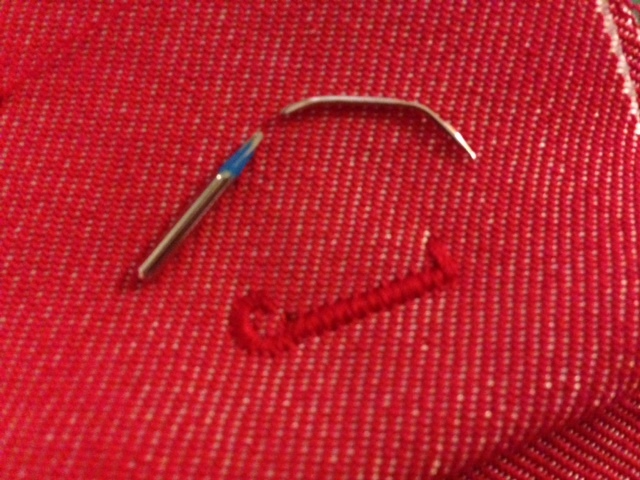 Or maybe my three-layers of denim were too thick for the needle to handle (though I did use a denim needle!). I don’t know. I do know I decided that I needed a break at that point. But, this should be finished tonight. So, two new finished projects should make their appearances shortly! 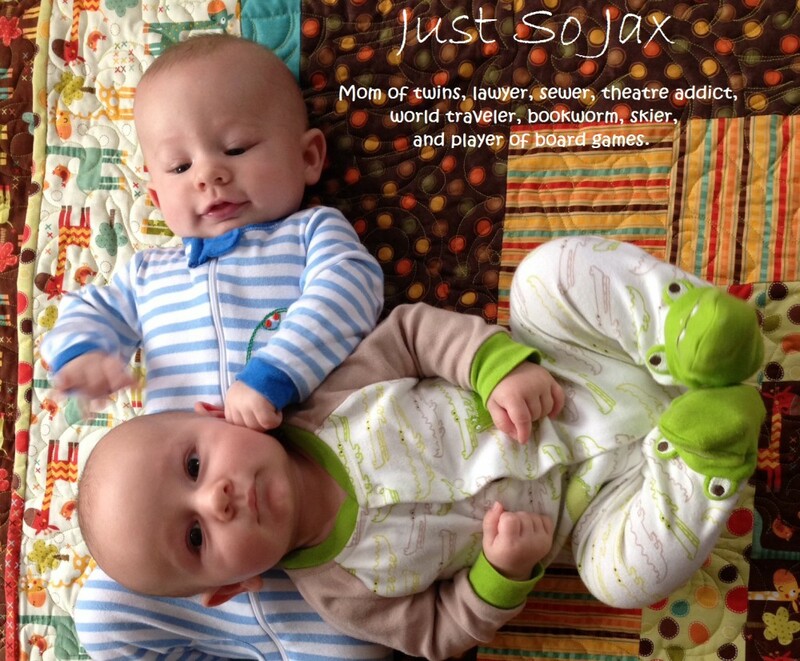 This entry was posted in Knitting, Sewing by jaxbear. Bookmark the permalink.